A heartbreaking yet uplifting story about a boy who has lost everything but finds new hope drawing in the shadows of a hospital. Features a thirty-two-page graphic novel. Then, one night, Rusty is wheeled into the ER, half his body burned by hateful classmates. Rusty’s agony is like a beacon for Drew, pulling them together through all their pain and grief. In Rusty, Drew sees hope, happiness, and a future for both of them. A future outside of the hospital, and away from their painful pasts. 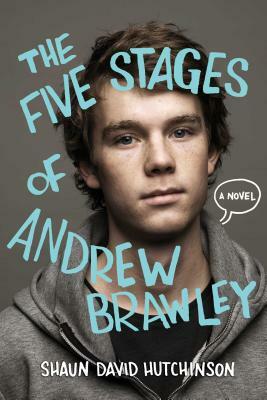 But to save Rusty, Drew will have to confront death, and life might get worse before it gets better. And by telling the truth about who he really is, Drew risks any chance of a future…for both of them.